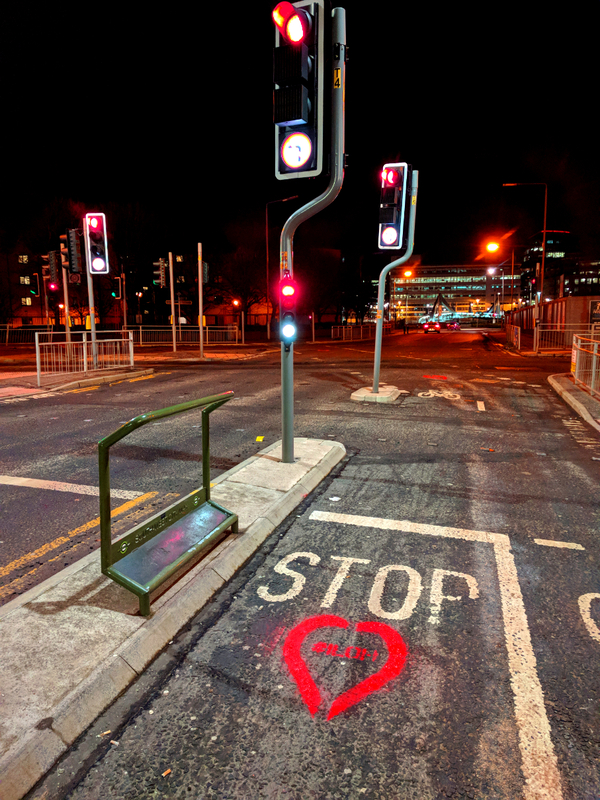 GoBike members have been busy out on the streets this week using chalk to highlight dangerous infrastructure and showing their love for the good cycling infrastructure we have in and around Glasgow. 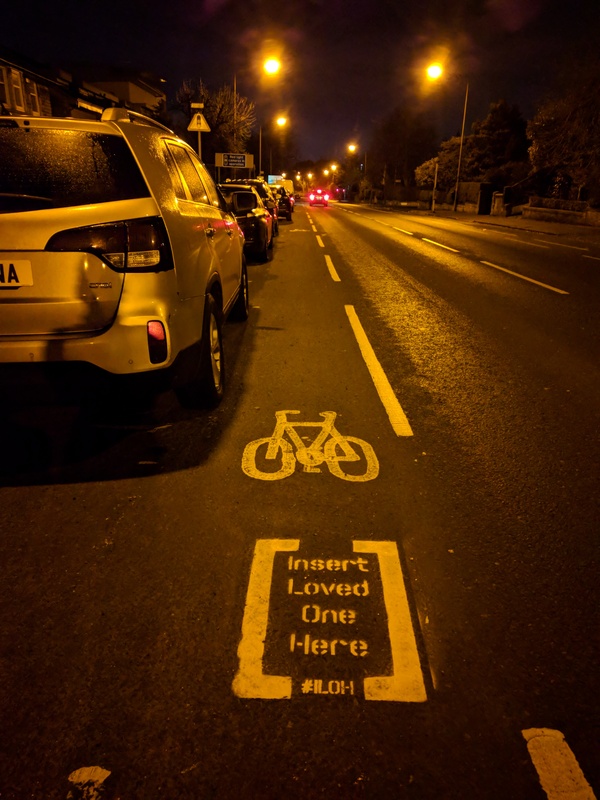 Insert Loved One Here #iloh is a Cycling Embassy of Great Britain campaign started last year that used the power of pictures and social media to highlight the dangerous cycling infrastructure that exists around the UK. 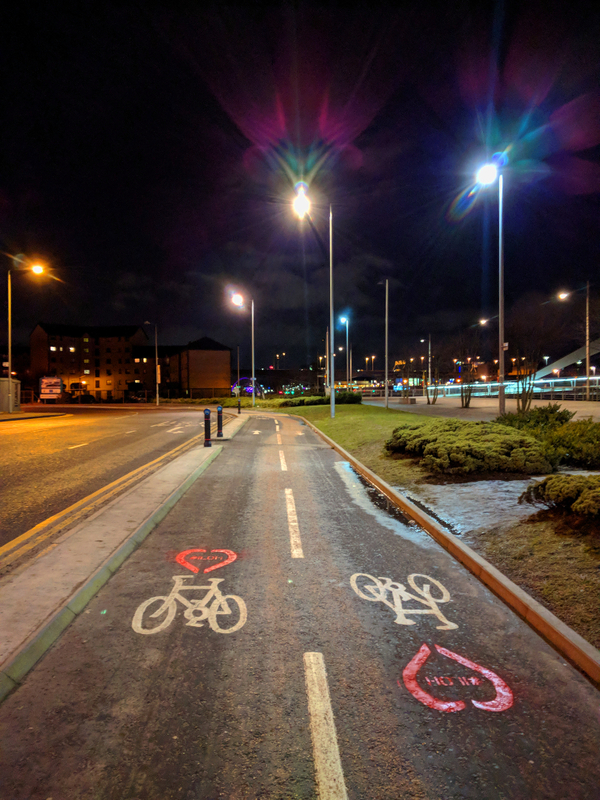 When the Embassy held their AGM in Glasgow last September, GoBike asked whether they could take things one step further with a physical campaign which led to twelve dangerous locations being tagged across Glasgow last week. The discussion we had on that September day also led to the recognition that we need to acknowledge when local authorities do good work, and so we decided we would also highlight some good examples, to show what we would like to see more of. 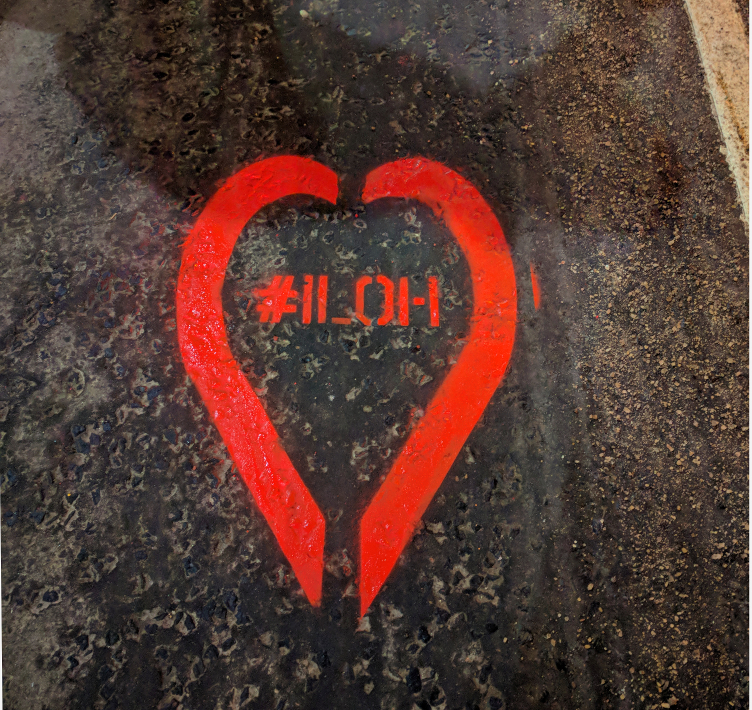 As a result, and to coincide with Valentines day, we have created the #iloh heart, and last night we love bombed the locations that we think are actually really good. These range from dropped kerbs, which though simple, can have a massive impact upon permeability, and enable cycling along direct routes, to much of the South City Way, with it’s dual lane segregated cycle infrastructure, and it’s diagonal cycle crossing traffic light. Look out for two more blog posts coming soon, where we will explain why we tagged some infrastructure as dangerous, and why we really like the ones we love bombed. We’d like to say a big thank you to Bike For Good for helping us out with some of the materials. If you see any of our tags out on the street please take a picture and share it on social media with the #iloh hashtag. 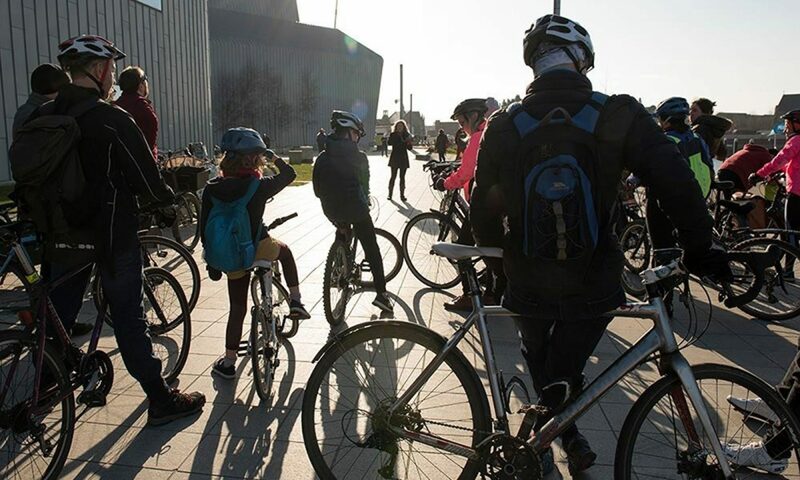 You can also get involved by adding the #iloh heart to an image of cycling infrastructure you love. Also search the hashtag #iloh on social media to see more tagged examples from across the country.